That would be Tom Tancredo (R-Colo) the "Tea Party prominent" [ed- the NRC's term] talking about Ms. Sarah Palin in an NRC interview. After her speech at the Nashville convention, Palin said she is considering a run for the presidency in 2012. 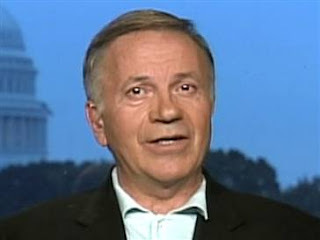 Tancredo however, does not believe she is fit for the presidency. And what does he think about McCain? You may already know this. It's a very good interview.